(10/20/2010) Advocates from the Environmental Defense Fund (EDF) want recreational fishing captains to know - 'catch shares' aren't just for commercial fishermen anymore! In fact, nonprofit EDF together with international 'for profit' consulting firm MRAG Americas, is apparently now working with recreational captains to identify catch share opportunities for sportfishing industry insiders and early investors. Documents obtained by the Recreational Fishing Alliance (RFA) disclose that EDF's comprehensive Catch Share Design Manual has been excerpted for use this week in private 'invite only' meetings in Jackson Hole, Wyoming, as EDF has invited select representatives of America's recreational for-hire sector to a private catch shares workshop. A paper prepared by MRAG Americas in advance of the October 21- 22 workshops reveals "EDF has contracted MRAG Americas to identify the necessary steps that must be taken to understand and communicate how catch share programs might work for recreational for-hire fleets in the United States." MRAG Americas says the workshop "is being held to draw on expertise from members of the for-hire industry and others working in or with this sector to adapt the existing Design Manual for the for-hire sector of recreational fisheries." According to EDF documents, "a catch share program allocates a secure privilege to harvest a specified amount of a fishery's total catch to an individual or group." The catch share campaign was originally launched by EDF and Pew Environment Group several years ago when marine biologist Dr. Jane Lubchenco was vice chairwoman of the EDF board. Now as NOAA Administrator, Dr. Lubchenco has helped put the EDF catch share plan to the forefront of fisheries management in 2010. "Catch shares are fundamentally different from other management approaches and have generally been implemented after a variety of other approaches fail or are insufficient at meeting specific goals," the EDF manual states, adding "Most commercial fisheries start as open access where anyone who puts in the effort is allowed to catch fish. As competition increases, managers often limit access through licensing of participants." According to EDF, when other methods can't effectively control fishing effort and catch, managers are forced to implement more effort-based regulations, with catch shares fitting the bill. "We've said all along that EDF and Pew weren't going to be satisfied with just putting 'open access' commercial fisheries under catch shares rule, and now we see where this is headed, right into the heart of our sector," said RFA Executive Director Jim Donofrio. "Pew funds EDF, EDF pays the fisheries consultants at MRAG Americas to get tie-in from a few charter and head boat captains, they're pure divide and conquer tactics," Donofrio added. "The only reason our current fisheries management approach is failing is because these groups set it up to fail through their ongoing lobbying efforts. It's failure by design using catch shares as the solution to the problem." Donofrio said he received the document when it was forwarded via email from a charter captain invited to attend the private workshop. The origin of the email is said to be Dr. Erika A. Zollett, senior marine scientist at MRAG, who explained that the paper provides an overview of the topics being discussed at the workshop. "The other document provides excerpts from the existing EDF Catch Share Design Manual," Dr. Zollett writes in her email, adding "we will be discussing how we can adapt this manual for recreational for-hire fleets." A spokesperson for MRAG Americas' told RFA that confidentiality agreements would not allow him to provide information about the meeting except to confirm it was an EDF-sponsored event by invite only. RFA has posted the MRAG Americas workshop paper at http://www.joinrfa.org/press/DesignF...HireManual.pdf. The paper outlines a number of key issues to be considered in the design of catch share programs, some of which are "unique to recreational/for-hire fisheries." According to the document, "Stakeholder involvement and public outreach are essential to inform managers, educate stakeholders, garner support, and fight political resistance." Donofrio said it's clear that RFA members are in for a tough road ahead. "The fact these venture capitalists included the term 'political resistance' in their design document is appalling, as they know our recreational anglers will not support those participants willingly selling out the rest of our industry," Donofrio said. "Just reading the paper will make your skin crawl as MRAG and EDF outline a step-by-step process of defining who gets shares of fish and how that 'privilege' is assigned. It's horrible to think that some members of our national fishing industry would actually support this sell-off," he said. Donofrio said the MRAG Americas paper also assumes that since the for-hire sector of the recreational fishery is a commercial enterprise, it should fall under similar management approaches as the commercial sector. "It appears anyone who makes money off sportfishing will fall under the catch shares umbrella in the future, including tackle shops, hotel and lodge owners, even the pilots who carry our fishermen into town," Donofrio said. 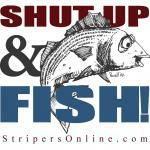 "We can't have division between the industry and anglers on this, we have too much to lose." While EDF and MRAG representatives are hoping to gain endorsement for share allocation between a handful of captains and their customers, the pre-eminent industry coalitions in the U.S are continuing their vocal opposition plans to separate the recreational fishing sector into the 'haves' and 'have nots'. According to RFA national board member Capt. Bob Zales, II, as president of the National Association of Charterboat Owners and Operators (NACO), he's been actively pressing his members to understand that EDF and others were trying to push catch shares within the recreational fishing sector. "If charterboat owners didn't believe that EDF was in the business of pushing catch shares in the for-hire sector before, here's the documented proof today," Zales said pointing to the MRAG Americas paper. Zales said a small group of charterboat owners is being used to promote EDF's effort to reduce charter fleets across the country. In the Gulf of Mexico, Zales said EDF has pushed to separate the charter boats from the head boats, as well as from private anglers, using separate sectors for each. "EDF has consistently told charterboat owners that sector separation is not about catch shares," Zales said. "EDF's real agenda is now confirmed after you read these documents, as sector separation is the first and most important step in implementing catch shares." The Marine Resources Assessment Group (MRAG Ltd) headquartered in London is registered as a consulting firm with the Department for International Development (UK), European Commission, World Bank, Asian Development Bank, and the United Nations Development Program. MRAG Americas, Inc. is registered as a consulting firm with the U.S. Department of Commerce and is led by Dr. Andrew Rosenberg, the Deputy Director at NMFS from 1998-2000. A source at MRAG Americas said Rosenberg is not involved in day-to-day operations there, and is said to now be working with a group called Conservation International. ccording to the Gloucester Times, MRAG Americas, Inc. is one of four firms qualified to provide on-board monitoring worth as much as $6.5 million a year when the New England fisheries go under catch system rules May 1. "EDF is running around citing the World Bank and Food and Agriculture Organization of the United Nations as saying that catch shares drive economic growth, but what they're not saying exactly is who it is that's getting rich on this scheme," Donofrio said. 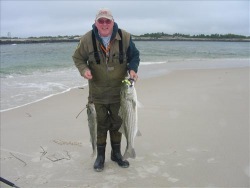 "Catch shares will allot ownership of our public resources to a handful of venture capitalists, but whether or not those shareholders actually share with anglers is not be up to us to decide," Donofrio added. "As EDF says in their socialist manifesto, perhaps that decision will ultimately be up to the local fish cooperatives, permit banks and community fishing associations who are granted the privilege of original ownership." Catch shares are in the works and do not think EDF, Pew and their darling, NOAA Fisheries chief Dr. Jane Lubchenko are going to stop with commercial fishermen and the for-hire sector of the recreational fishing community. This is divide and conquer. It may surprise you to learn that the RFA has historically championed catch shares, at least in New England. I am pleased to announce the release of a new that encourages the consideration and use of catch shares as a fishery management tool. Catch shares are an important option for building sustainable fisheries that contribute to resilient ocean ecosystems and vibrant working waterfronts. The purpose of this policy is to provide a strong foundation for the widespread consideration of catch shares which are proving to be an effective tool for ending overfishing, rebuilding fisheries and ensuring sustainable seafood. I want to acknowledge the participation of our stakeholders and thank them for their contributions in the development of this national policy. Their comments were significant and are evident in several major additions to the policy's guiding principles. In the months ahead, we will begin the long term process of implementing this policy. In that context I want to remind you that NOAA has partnered with the National Fish and Wildlife Foundation (NFWF) to create a Fisheries Innovation Fund to support local fishermen and communities interested in catch share programs and putting their ideas into action. Pre-proposals are due November 30 and grant-writing training is available for interested applicants. We are committed to continuing the dialogue with you and the public on the policy's effectiveness and how it's being implemented across the country. If you would like to provide comments or suggestions on either of these topics, please send us an e-mail at catchshares@noaa.gov. I look forward to your continued involvement and guidance in the years ahead as we work together to end overfishing in the U.S.
NOAA today released a national policy encouraging the consideration and use of catch shares, a fishery management tool that has shown it can help rebuild fisheries and sustain fishermen, communities, vibrant working waterfronts and culturally important fishing traditions. "Catch share programs have proven to be powerful tools to transform fisheries, making them prosperous, stable and sustainable parts of our nation's strategy for healthy and resilient ocean ecosystems," said Jane Lubchenco, Ph.D., under secretary of commerce for oceans and atmosphere and NOAA administrator . "NOAA's policy encourages fishery management councils and stakeholders to explore the design possibilities of catch shares to tailor programs to best meet local needs." Catch share programs, which include limited access privilege programs and individual fishing quotas, dedicate a secure share of fish to individual fishermen, cooperatives or fishing communities. Catch shares are used in 14 fisheries managed by six fishery management councils from Alaska to Florida and are being developed in additional fisheries. Both here and in other countries, catch shares are helping eliminate overfishing and achieve annual catch limits, improve fishermen's safety and profits, and reduce the negative biological and economic effects of the race for fish that develops with some traditional fishery management. After considering extensive public comment on its draft policy, NOAA added several important guiding principles to the policy, including a recommendation that regional fishery management councils periodically revisit allocations between commercial and recreational sectors in fisheries. The policy also does not advocate individual catch shares for private recreational anglers. Councils will have NOAA support to consider catch share programs for charter boat and head boat sectors to explore recreational catch share pools that could benefit the health of the resource and the charter industry. "The purpose of this policy is to provide a strong foundation for the widespread consideration of catch shares, which have proven to be an effective tool to help rebuild fisheries," said Monica Medina, principal deputy under secretary for oceans and atmosphere. " The key to a successful catch share program is extensive stakeholder involvement in the design of catch shares that take into consideration each community's particular fishing traditions and goals." David Walker, a commercial fisherman who is part of the Gulf of Mexico red snapper individual fishing quota program, has seen how a catch share program can transform a fishery. "This program has been a phenomenal success for the fish, and when you take care of the fish, you take care of the fishermen," said Walker, who fishes from the homeport of Destin, Fla. "Before the program began in 2007, we were having to fish under derbies and having to go farther and farther to fish. We were getting fewer and fewer days as efforts were intensifying. Everyone raced for the fish and we were fishing in weather conditions that were dangerous at times. Fishing under the IFQ program implemented in 2007 has been a blessing to us. Now we have a year round season with very few discards. Fish prices are good. And the fish stock is rebuilding." On the West Coast, Steve Bodnar, the executive director of the Coos Bay Trawler Association, has been working with the Pacific Fishery Management Council to help develop a catch share program for the West Coast bottomfish trawl fishery. "We're on the edge of doing something great," said Bodnar, who represents a group of fishermen based in Coos Bay, Oregon, who own and fish from nine trawlers. "This program is opening up communication between fishermen who were used to working alone. We're going to swap quota to keep as many boats on the water in order to keep our port whole. We'll also work together to share resources, to develop gear that will avoid fish that are not as abundant and catch the healthier stocks, and to market our catch to help consumers support local fishermen. By working together, we will survive." NOAA has partnered with the National Fish and Wildlife Foundation (NFWF) to create a new NFWF grant program called the Fisheries Innovation Fund that will award $2.2 million to support local fishermen and fishing communities that want to consider catch share programs and put their ideas into action. NFWF is providing grant writing training via a webinar on Thursday, Nov. 11, from 1:00 p.m. - 2:30 p.m. EST. NOAA's mission is to understand and predict changes in the Earth's environment, from the depths of the ocean to the surface of the sun, and to conserve and manage our coastal and marine resources. Find us on Facebook. But in my head, I already OWN 1/200,000,000 of all the the fish that swim within 200 miles of the coast of the United states. I refuse to give or sell my share to anyone. If it actually came down to it I might be up for a trade of my tuna, cod, Ling... shares for some more striped bass. When I get to Florida for the winter will the DEC report that all the snook and redfish shares were sold to make up some budget gap?